Well, the Blooper gang is back, and this time Elk Studios have them in full camouflage mode. Platooners takes the Bloopers gang and lands them right smack bang in the middle of a Jungle, well a jungle movie set that is! Platooners is a 5-reel, 178 ways to win slot, offering a military strike of 96.3% as an RTP. For those of you brave enough to wage war against the snakes of fortune (the enemy of the Platooners), this percentage should be a convincing enough amount. Set against another Hollywood movie backdrop the Platooners lay in wait for you to hit the features, so they can play at being soldiers of war, and how cute they look doing it too! Bet Amounts – Betting begins at just 20p per spin and can be increased up to a maximum of £100 per spin. But as is the case with many Elk Studios games, Platooners offers betting strategies as well, for players to add a little something extra to their game play. Optimiser – and finally optimiser, selecting this will bet a percentage of your bet amount depending upon your balance. You will be betting between 1%, 2%, 5% or 10% by choosing this option. Wild Symbol – To keep things as easy as possible Platooners wild symbol is simply that, the word ‘wild’. It will substitute for all other symbols except the scatter and offers no other win value in the game. Scatter Symbol – The dastardly nemesis of the Platooners, the snake of fortune is the scatter symbol. Landing three or more of these will trigger the bonus feature and give the Platooners a chance to prove their worth on the battlefield! Action Spins Feature – Randomly awarded you will see the three Platooners characters pop up with their weapons, to help create some wins for you. Bullets – will activate 5 of a kind combinations from one symbol on reel 1 for one spin. 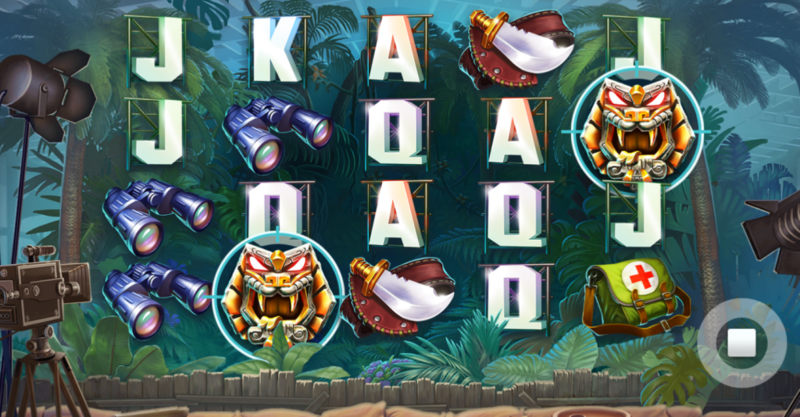 Snakes of Fortune Feature – Landing three or more of the enemy target scatter symbol, will trigger the bonus feature. Here you will see one of the snakes of fortune hovering above the Platooners. You will be playing with one, two or all three of the Platooners depending on how many scatters you land. Between them they will have 15 rounds of ammo to beat the snake. So, bear in mind, one of the Platooners will only do a small amount of damage per round, but three will do x3 the damage which will help with the bigger wins. If you beat the level one snake you will move to level two and then ultimately level three, which is the hardest to defeat but has the bigger prizes. As the ammo is fired at the snake you will receive coin wins and extra ammo (always helpful), extra attacks or even a bomb which will cause more damage. This round can prove to be very enjoyable and fruitful, if you are playing with all three characters in the round. 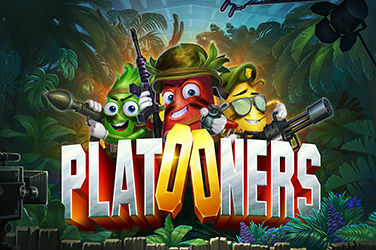 Platooners is a fast-paced game with wins in the base game triggering often. The randomly activated action spins didn’t seem to appear as much as you would hope, but when they do it is a huge help to the round. As for the Snakes of Fortune feature, once activated it is great fun. But, the only way to reach the 3rd level snake is to have all three characters in play and land a few extra attacks and bombs. That being said the bonus round is still a big win for those that get into it regardless of making it to level three, so all is not lost. Overall a great game, the music in the background kept changing so it didn’t get too boring and it was fun to play, that’s a win in our books.